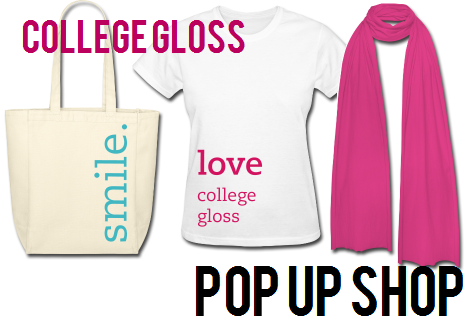 College Gloss' Pop Up Shop opens today, just in time for back to school! With everything from CG tees to tote bags and laptop bags, our shop has your back to school essentials. The CG Pop Up Shop will only be available until the end of August, so it's really a limited edition time to get any and all CG gear. Comment below with your favorite item and any suggestions/questions! I definitely want the eco-friendly tote and the netbook case! They would be extremely useful at school.